Hans-Rolf Rippert was born in 1931 in Germany to Russian immigrants. His vocal ability was recognized early when he won a Fulbright Scholarship to study music at State College of Music in Hamburg. Ivan’s superb voice ranges 4½ octaves which means he can sing can soprano and bass and is listed in the 'Guinness Book of Records' as having the broadest vocal range in the world. By comparison Roy Orbison has a 3½ to 4 octave range in his voice. At first he tried for a career in opera but despite his range failed to secure a future, instead he fell back upon his Russian heritage and soon found himself as soloist for Cossack Choirs (Don Cossack Choir, Black Sea and Ural Mountains Cossack Choir. Cossack choirs became popular in the 30s and was one way to preserve the traditional folk and city songs of pre Revolution. Many choirs were based outside Russia because of the constraints and controls operated by the Old Soviet Union. Needless to say their performances were adored by all audiences who love singing and dancing and especially appreciated by ex patriots around the world. Ivan’s imposing figure added dramatically to his stage presence so much so many of his fans believe him to be Russian. In reality Ivan is a German Liberace who sings Russian folk songs. And boy does he sing them……. 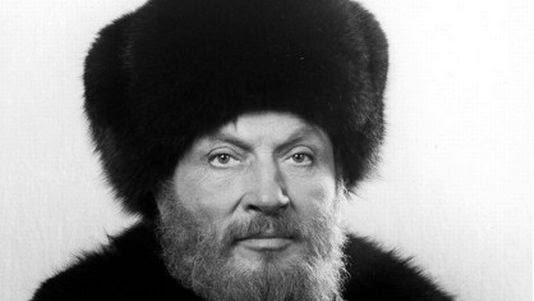 In 1968, Ivan secured the role of "Tevje" (played by Chaim Topol in the Movie) in Fiddler on the Roof (Un violon sur le toit) at the “Théâtre Marigny" in Paris. His unbroken 1476 performances and French renditions of the popular musical won him international acclaim. Throughout his career Ivan had an impressive recording portfolio with an amazing 49 golden albums worldwide in South Africa, Australia, New Zealand, the Pacific Islands, USA, Canada, Iceland and almost every European country. He sang opera, light classics and folk songs in many languages. Laterally he based himself on the Greek Island of Sporade but worked tirelessly with a punishing average of 150-200 concerts per year. When he was in Australia in 2004 his schedule included 12 shows in 14 days. He died in Frankfurt after a long illness.